The Japanese Half Beak or “Sayori” is a very popular fish in Japan as sashimi or sushi because it black-striped flesh does make for some spectacular design in spite of the difficulty to take its skin off cleanly! 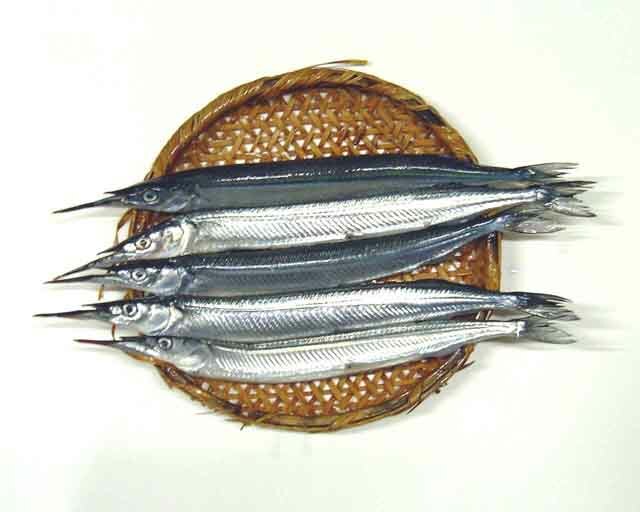 The word “sayori” can be written in three difeerent kanji: 鱵, 細魚 (“Thin Fish”, 針魚 (“Pin Fish”). It is also known unde the names of “Hariuo”, “Kannuki”. The latter name is used for large sprcimen sold in the Tokyo area which can reach up to 40 cm. 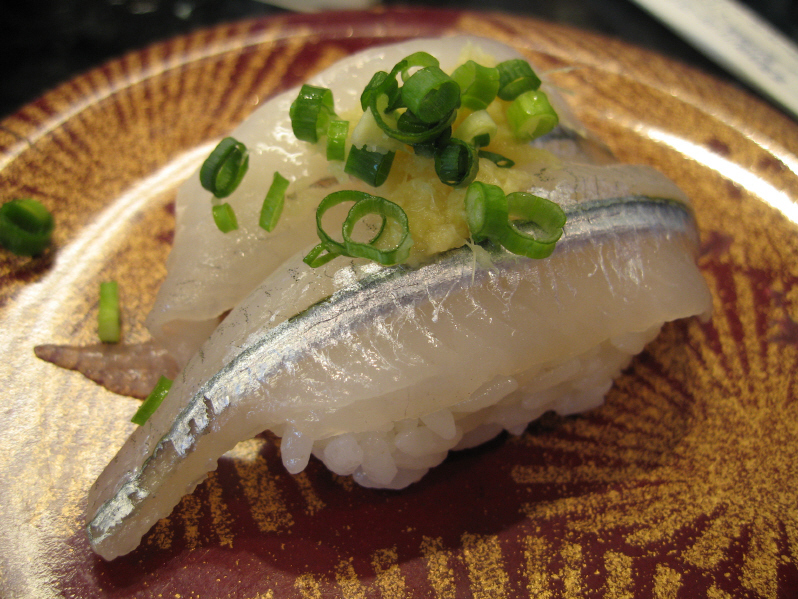 We are lucky to catch our own in Suruga Bay off Shizuoka and savor them so fresh! 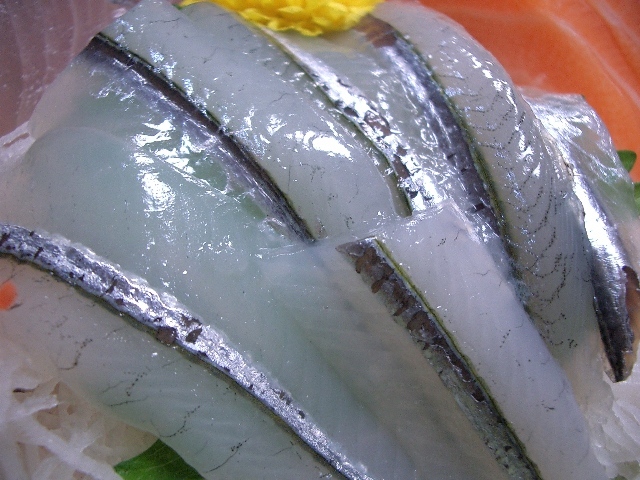 You can easily buy the sashimi cut at supermarkets and re-arrange it at home! 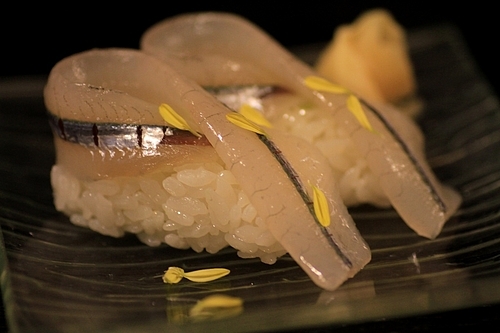 In my own personal opinion it makes for some of the most elegant sushi nigir! Very popular with ladies! 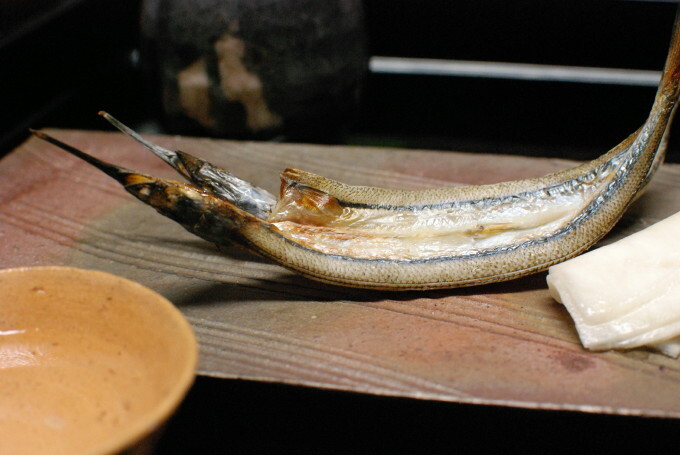 Grilled or as himono/dried, it is the perfect snack I would love anytime with a great beer or sake! But all said, you can beat such a lovely sushi nigiri! Really! Very interesting indeed! Thank you so much! I was named Sayori too. Love my name! Beautiful fish! I am sure I have never seen it (I would certainly remember). I don’t think they have this fish in Europe but I can guarantee you it is a beauty!